An appreciation blog for abstract art, in particular from the abstract expressionist school. 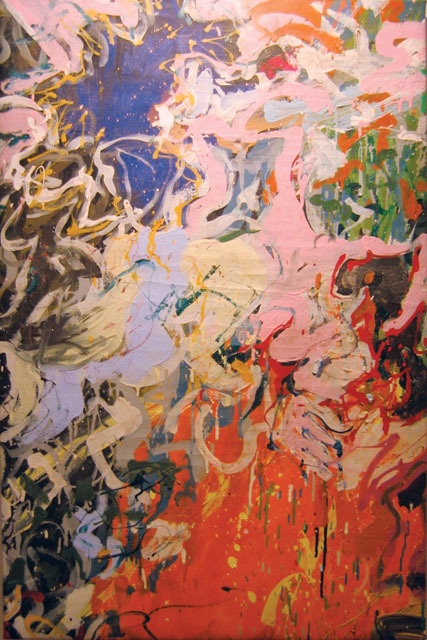 Pollock, de Kooning, Hofmann, Frankenthaler, Riopelle, Gorky, et al. will be presented here. All rights reserved by the artists or their legal delegates. "Some are born with a silver spoon in their mouth; I arrived with a paint brush in my hand and have painted steadily since the age of four. My work is abstract expressionist. 'Unexpected' and 'radiating energy' are often used to describe my art."